It often seems like sugar cravings can pop up at any time. Maybe it’s 4:00pm at work and you’re hitting a wall, or you just finished a hard workout, or you’re curled up on the couch watching Food Network, and suddenly you’re dreaming of ice cream, or brownies, or a fruit smoothie, or any number of other sugary snacks. While these cravings may feel random, often times there is real science behind why we get them. Whether it’s a lack of something in our diets, an excess of something else, or simply a bad habit, these cravings are often the result of cause-and-effect relationships. Here’s a deeper look at the science behind sugar cravings and how to combat them. We tend to crave sweet things when our blood sugar rises and drops too quickly. A common cause of this is reliance on processed carbs and sugary drinks in our diet, paired with a lack of protein and healthy fat. While a bowl full of spaghetti may fill you up temporarily, your body will digest the carbs more quickly than it would protein. This leads to a drop in blood sugar, which causes you to crave a quick fix to bring it back up again. 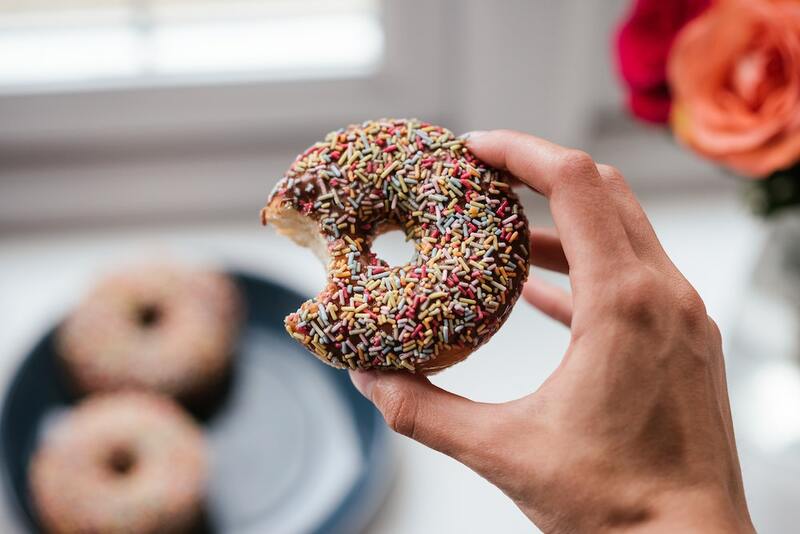 If you notice yourself craving sugar an hour or two after you eat a meal, this may be a sign that you need to up the amount of protein on your plate. Check out our list of 5 quick sources of protein you can add to any meal. If you’re craving soda, your first instinct might be to reach for a Diet Coke as a healthy substitute. However, this might end up increasing your body’s sugar cravings. According to Harvard Health, artificial sweeteners can change our relationship to the taste of food, making us more likely to choose artificial sugars in place of real ones like fruit. Sugar substitutes also train us to not associate sweet things with calories, which may lead us to reach for them unconsciously without thought of the consequences. The good news is, not all sugar substitutes are created equal. Check out our guide to the best artificial sweeteners to learn more. Often we crave carbs or sugar simply because we have built the habit into our lives. If you always have a dessert after dinner, your body will continue to crave sugar at that time. To break this habit, you’ll need to retrain your brain. Try weaning yourself off of the sugar slowly by eating smaller and smaller portions, or only eating it on certain nights each week, until your craving diminishes. Even better, substitute the refined sugar you crave with something more natural, like a piece of fruit or an ounce of dark chocolate. Sometimes, cravings aren’t caused by a deficiency in our diet, but by an excess of stress in our lives. When we turn to food for comfort, this association creates cognitive patterns that encourage eating in response to stress. This in turn causes cravings to arise during difficult times. There are a number of ways to combat this: recognize when you tend to eat emotionally and why, swap out your go-to comfort food item for a healthier alternative, and establish better coping methods. We delve deeper into this topic in this article: How to Stop Stress Eating.